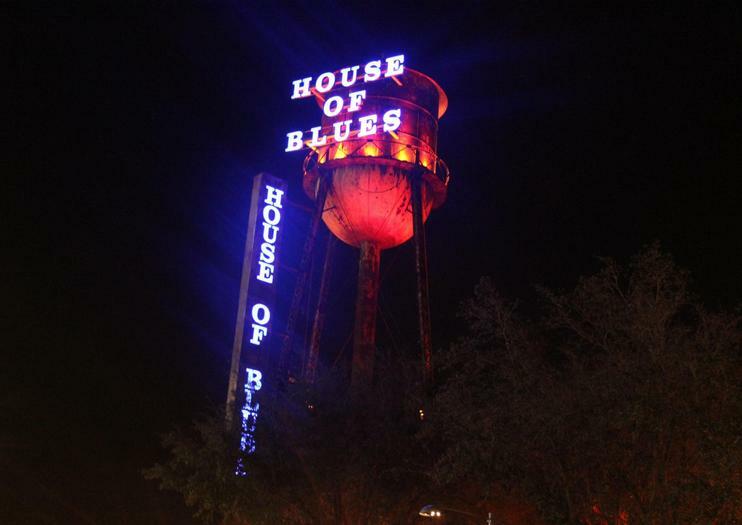 Come for the barbecue and stay for the live entertainment at House of Blues Orlando. Just far enough away from the main Disney World Resort restaurants and entertainment venues to make a dent in the crowds, House of Blues has long been a favorite of both locals and park visitors. The venue hosts all kinds of performers, from local favorites to world-famous stars. Even when there isn’t a concert, music will be playing and TVs will be on for sports fans. The dual restaurant and concert venue set-up provides something for everyone. Families love House of Blues for its many kid-friendly meal options, while couples enjoy the sprawling patio, where live music can be heard. Diners rave about the shrimp, grits and barbecue ribs, and night owls particularly like the concerts and the late-night bar menu that goes along with them. Located in Lake Buena Vista, Florida, House of Blues Orlando is part of the Walt Disney World Resort. Some events are only for those 18 or 21 years of age and older, but dining is open to all ages. Tickets for performances range in price.